This week’s guest blogger is the wonderful Isabelle Andover. Isabelle is a Paris-based writer of chicklit. Her debut novel, Cocktails at Le Carmen, was published by Simon & Fig in June 2015. 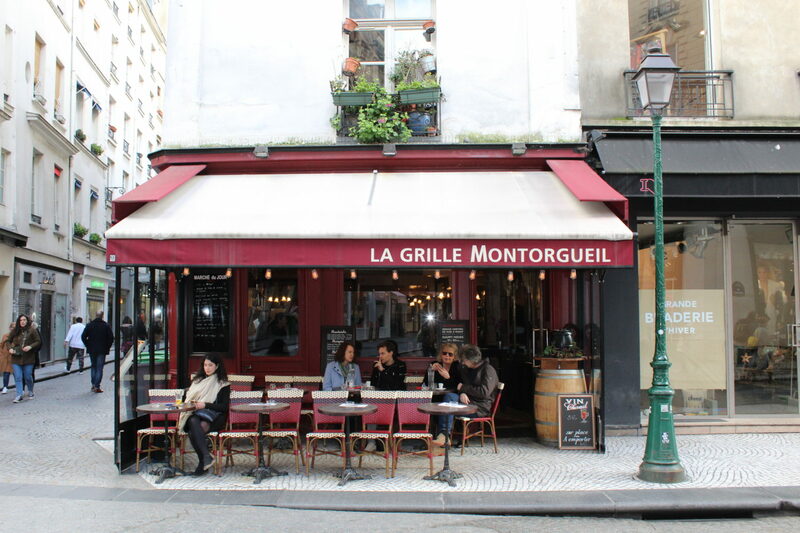 Located on the Left Bank, Paris’ 13th arrondissement may not top the list of tourist hotspots in the French capital, but as writer Isabelle Andover points out, there are plenty of things to see and do in this lively area. Tell anyone you live in the 13th arrondissement, and depending on whether they are a tourist or a resident of Paris, they’ll either respond with a polite, blank stare or assume you must eat a lot of Asian food. But it’s not just the Asian Quarter, located in the southeast of the 13th arrondissement, that the area is known for, although it’s famous for this for a reason, so I’ll come back to it in just a second. To paraphrase Bill Bryson (I hope he won’t mind), if you’ve never been to Paris’ 13th arrondissement, go there immediately, take my navigo pass. It’s wonderfu l.
Head to the Asian Quarter and take a trip to Asian supermarket Tang Frères to stock up on weird and wonderful fruit and veg, giant sacks of rice (or not, if you have to drag it home on the metro) and Tsing Tao beer. When it comes to restaurants, be it Chinese, Thai, Cambodian or Vietnamese, you’re spoilt for choice. My personal favourite is Thai Royal, located at 97 Avenue d’Ivry, which has great décor, even better food and very friendly staff. And when you’ve finished eating, why not go for a drink at L’age d’or, at 26 rue Dr Magnan, where there’s a great atmosphere and very reasonably priced drinks. They also have music, exhibitions, and much more. Away from the hustle and bustle of Chinatown is Butte aux Cailles, a picturesque area that has a village-type feel and some seriously cool street art. It’s home to one of the oldest swimming pools in Paris (5 place Paul-Verlaine), which has been recently been renovated but which retains its art-deco style. The outdoor pool will be open year round from January. And while there are queues during the warmer months thanks to the outside pool, once you’re in, you’re in, and can stay and tan all day if you feel like it. Butte aux Cailles is also home to Chez Gladines (30 rue des Cinq Diamants), a famous Basque restaurant with other addresses in Paris. A word of warning – it doesn’t take reservations, so you might have to queue. In terms of bars, there are several, my personal favourite being Taverne de la Butte (13 Rue de la Butte aux Cailles). This was actually discovered by my Dad when he came to visit – after I’d moaned at length about the price of alcohol in Paris, he promptly sniffed out the cheapest Happy Hour beer within a three-mile radius. Taverne de la Butte might look like it’s seen better days, but rest assured, it’s not filled with people your parents’ age. Its full of young specimens on a Friday and Saturday night, and one of the best things about the place is the free bar snacks you get with your drink. It’s a great place to come after a day’s shopping in the nearby Italie Deux shopping centre, which has 130 shops and restaurants including Zara, Sephora and Go Sport. Although Butte aux Cailles is quite lively in the evenings, if you prefer something bigger and more anonymous, head to Wanderlust (32 Quai d’Austerlitz), a bar and club where hipsters hang out and which has a big terrace overlooking the seine. Perfect for those long, hot summer nights. And then there’s Batofar, (11 Quai François Mauriac) a boat on the Seine where you can go clubbing or go and see a concert. Down from Batofar, and at the other end of the cultural/entertainment spectrum, is Bibliothèque nationale de France (Quai François-Mauriac), France’s national library, which has over 14 million books, printed documents, manuscripts etc, and also hosts exhibitions. The Haut-de-jardin level is open to everyone over the age of 16, while the Research Library is reserved for accredited users. Last but not least, is Piscine Josephine Baker (Quai François-Mauriac), an open air swimming pool housed on a peniche (covered with a glass roof in winter) that offers stunning views. If you’re anything like me and feel exhausted and a bit bored after swimming two whole lengths, you can sunbathe instead. Due to its popularity the time you can spend there is limited, although it’s definitely worth a visit.